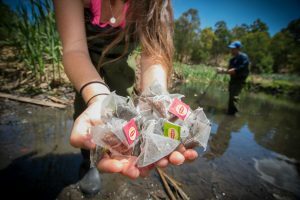 Calling all researchers and citizen scientists in the Southern Hemisphere to join a global tea bag study! The TeaComposition H2O initiative has successfully launched in the Northern Hemisphere. To date, we have deployed ~19,000 tea bags at over 350 sites in 30 countries (all continents except Antarctica). We are now gearing up to launch in the Southern Hemisphere! If you haven’t already signed up, check out our invitation by clicking the join button below and contact Dr Stacey Trevathan-Tackett s.trevathantackett(at)deakin.edu.au for details on how to sign up. We are interested in marine and freshwater wetland sites in all climate biomes. Deadline for sign up is 31 August 2017 for deployment Nov-Dec 2017. If this is your cup of tea, we are looking for sponsors as well. 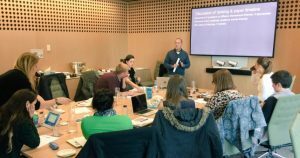 One 6th July 2017, 11 microbiome researchers met at Deakin University in Melbourne to workshop the main research gaps in the field of marine and coastal microbiomes. In only a day’s worth of discussion and plenty of coffee and food, the team produced an outline for a group perspectives paper and discussed the future of microbiome collaborations in Australia. We were too busy to remember to take a group photo, but check out the tweets from the workshop (@stacey_teetee, @petermacreadie). We also would like to thank our sponsors Deakin’s Centre for Integrative Ecology and School of Life and Environmental Sciences. On behalf of the workshop coordinators, thanks again to everyone who participated, and we look forward to working with you all! 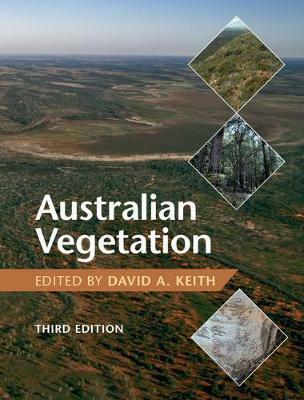 PhD student, Saras Windecker, is a co-author on a chapter entitled ‘Wetland Vegetation of Inland Australia’ in the most recent edition of Australian Vegetation, edited by DA Keith UNSW. The chapter focuses on temporary wetlands and permanently wet systems dominated by non-woody macrophytes. It uses nine case study systems that span Australia to illustrate the biogeography, dynamics, and key threats of these ecosystems. The type and distribution of vegetation reflect the variation in hydrology, climate, and geomorphology inherent in these diverse systems. Wetland plants have a range of adaptations and life histories to tolerate dynamic water regimes characteristic of Australian wetlands, but are still vulnerable to exotic species invasion and water regime modification. These threats, and others, are discussed with respect to their impact on wetland management and policy. Catford, J.A., Roberts, J., Capon, S.J., Froend, R.H., Windecker, S.M. & Douglas, M.M. 2017. Wetland vegetation of inland Australia. Australian Vegetation (ed. D.A. Keith). Cambridge University Press.